Knowing what is Phlegmatic as it relates to a personality type will lead you to one word above all. This person will always be described as a NICE person by the other personality types. How do you know what type of personality you have? You can try this free online test to get your basic temperament type, and then read the resources on this blog for greater detail. The overview of the 4 personality type model is explained here in a less intellectual and easy to understand way! 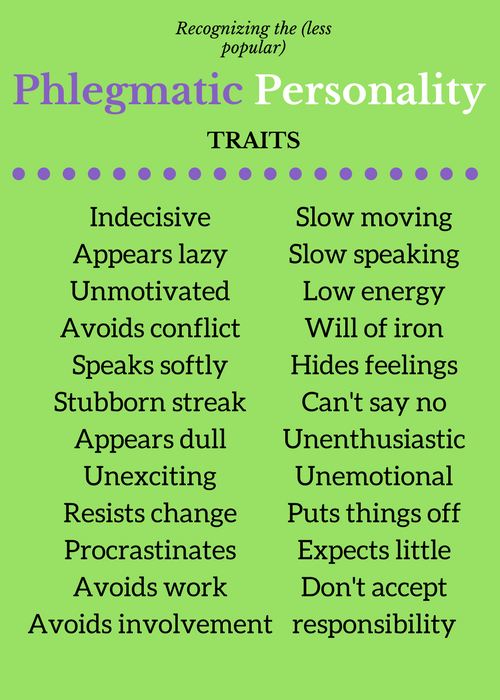 This post puts the spotlight on the Phlegmatic personality traits. 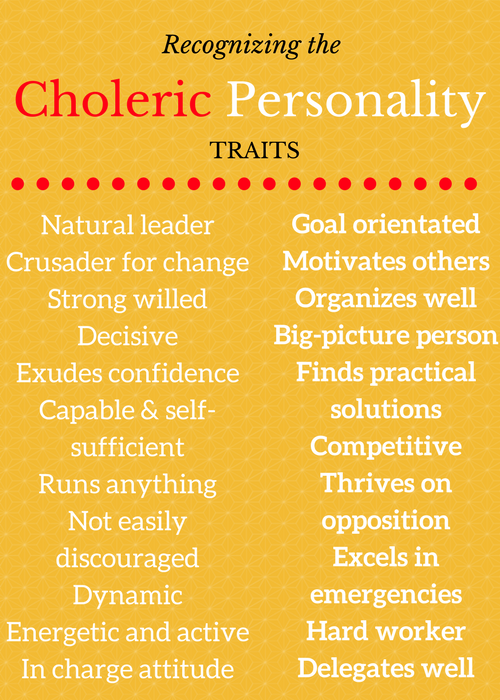 Find links for the other personality types at the end of this post. If you are an INTROVERT, but still friendly and people-loving, you are probably a Phlegmatic personality. You can be described as more reserved than quiet. Your dry sense of humor and easy-going ways sets you apart from the more serious and task-driven Melancholy, who is the other introvert type. Peaceful and relaxed: You have an overall aura of peace about you. Cool, calm and collected are your middle names, and you don’t sweat the small stuff. In fact, it is unusual to see you visibly “sweat”at all! Easy-going and un-involved in drama: You’re a laid-back type, never jumping around, jockeying for position like the other personality types. You watch with detachment whilst this happens, and you find it all rather entertaining. You seem emotionless but this is untrue. You are just a master of keeping your emotions hidden from public view. Well balanced and stable personality: This is the most well balanced and consistent of all the personality types. You don’t have recognizable highs and lows and are patient with others and tolerant. You are not easily upset, and have no need to insist on your own way. Peacemaker and negotiator: Because of your dislike of conflict, you will go to great lengths to avoid it. Not only that, you tend to mediate between others and are the best negotiator of all 4 types where you strive for a win-win outcome as you are naturally kind and sympathetic in nature. Phlegmatic personality is a great negotiator! Witty and humorous without trying: You tend to make people laugh without intending to as you sprout out witty one-liners as part of your conversation. You are naturally funny, and don’t take life too seriously. You don’t get upset easily, and always take the good with the bad as you are a realist more than you are a pessimist. 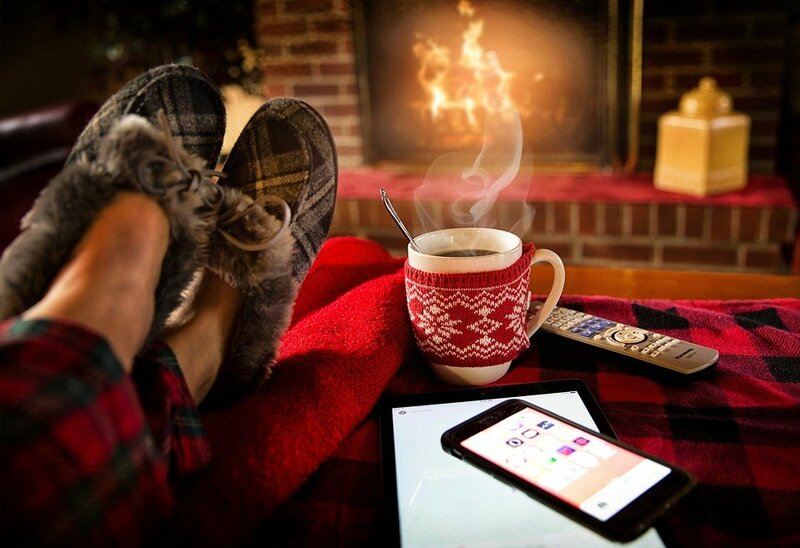 Adaptable and good under pressure: Not insisting on your own way (you are rarely bothered enough by life to insist on anything), you are an all-purpose person who fits in well anywhere. Not being bothered by much, you handle pressure better than the other personality types. What’s not to love? You are difficult to dislike as you are such an inoffensive personality! You are genuinely a NICE person, who is friendly and caring, and you always have time for others. Compassion and empathy are natural to your soul. You listen and give good advice without judgement. You are a reliable friend, and you do what you have committed to do – you don’t leave people in the lurch. You bring common sense and calm to tough situations, and bring peace into the drama of the lives of others. Your non-demanding personality is not easily provoked by the bad behavior of others, and you bring perspective to any situation. You are the greatest friend of all due to your ability to understand and accept the other types – you are great at human relations! Your drive in life is to LIVE IN PEACE WITHOUT INTERFERENCE WHILST CALMLY MEANDERING THROUGH LIFE. You were a blessing to your parents as a baby, making them think that parenting was a breeze – until they had a child of another temperament, that is! 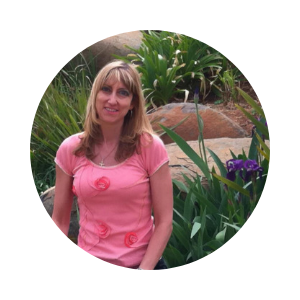 Your friendly, easy-going nature and undemanding ways allowed a flexible schedule. You loved people, and they certainly loved you. You were happy to go into the arms of anyone who smiled at you. As a child and teenager you had many friends and got along with different personalities, but you were equally happy with your own company. When encouraged, you would participate in school activities. You’d rarely answer questions in class even if you knew the answers, due to your unwillingness to draw attention to yourself. You were popular with the teachers due to your pleasant personality and quiet, unobtrusive efficiency. You never caused trouble in class and mediated in problems with your peers. Although you’d never volunteer to lead in group activities, once your peers realized your natural leadership ability (in the absence of a Choleric in the group), you were an outstanding leader. As a teenager, your common sense and stability, and your listening ear and compassion made you a sought-after counselor among your peers. You were often found mediating conflict situations involving the other personality types, keeping away from being involved yourself. Your adaptable personality enabled you to fit in any situation, and you quietly and efficiently did what was expected of you without expecting credit or drawing attention to yourself. Your unwillingness to get involved and detachment from situations can frustrate others. Sometimes you seem TOO calm and almost withdrawn from the situation. Your unwillingness to make decisions, even small ones (for example, “where would you like to eat?” is met by “I don’t know – you choose”) may irritate others when it happens too much. You appear to lack emotion, and need external motivation before you undertake anything – a literal “kick in the pants”. You appear unenthusiastic and dull because of this. You struggle to show excitement, and are very low-key no matter what is going on around you. You don’t seem to have much of an opinion on anything. Rarely volunteering for anything, in fact you resist getting involved in things, you appear to be lazy and always weighing up whether everything is worth doing or not compared to the energy you need to expend. You don’t seem to see urgency in anything. You procrastinate because you don’t want to do the task – you drag your heels to avoid doing work you don’t want to do. 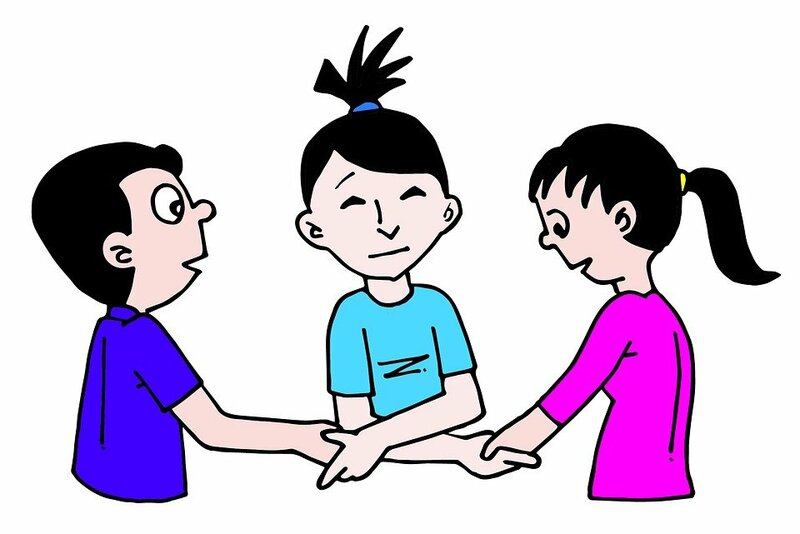 Your manner of refusing to communicate and keeping your mouth shut whenever there is conflict leads to problems not being resolved. 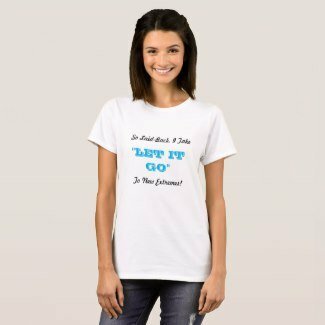 You’d rather keep the peace, shut your mouth and just walk away (maybe permanently) instead of communicating your true feelings. This unwillingness to engage makes you appear selfish, and like you are not taking responsibility for your own life. Your calm, easy-going ways and peaceful nature makes you a pleasure to have around and you are the ultimate friend to have! Your unassuming ways hide your efficiency, administrative ability and great leadership potential. Learning to motivate yourself, and intentionally choosing to reveal your true feelings to others will enrich your life, and make all your good points even stronger! You can do it, dear Phlegmatic. Can you identify a Phlegmatic personality close to you – maybe it’s you? What is the best trait of the Phlegmatic in your life? What irritates you the most? 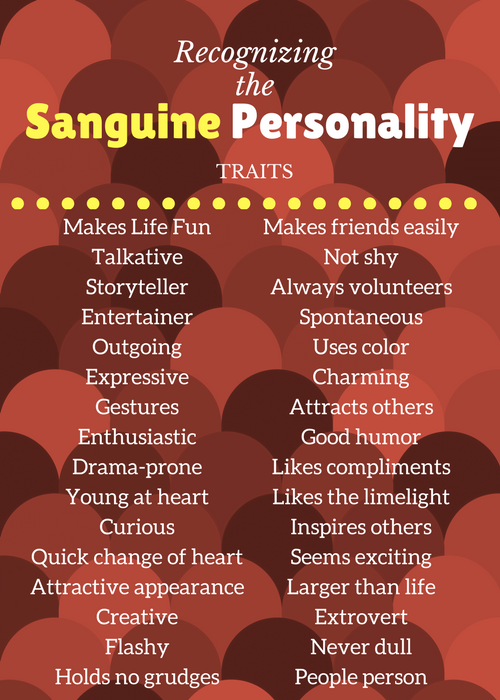 For information on the Sanguine personality, click here. 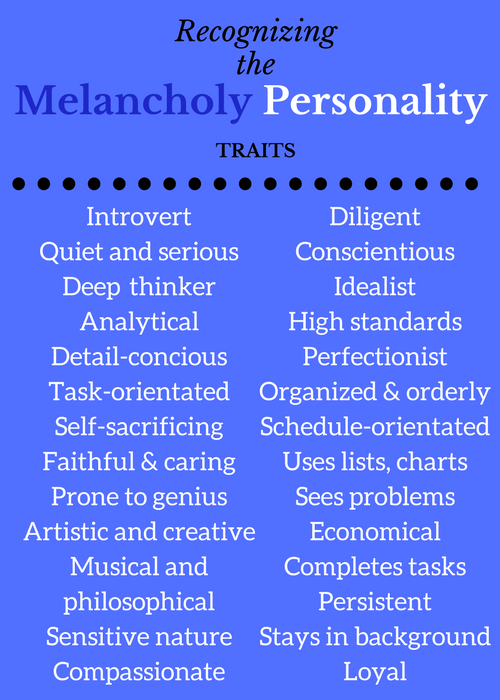 If you’re Choleric, here is what you need, and your Melancholy data is here. Tags: introvert, personality, Phlegmatic personality, Phlegmatic positive traits, What is Phlegmatic? It is very interesting to profile personality. You wrote this well. Knowing the good and bad of each personality helps us to understand people better. Better family bonding and also in our career. I think my son fall into this phlegmatic personality. He is easy-going, yes. But I find him too easy-going if you know what I mean. Glad you enjoyed this post! Yes, I know very well what you mean about being too easy-going:) Sometimes you want to take your Phlegmatic and shake him or her, as they seem to lazily drift through life without being concerned about the stuff others are concerned about, even when to you it’s quite serious! However, they are treasures in so many other ways it’s usually worth just applying a little external motivation to get them moving where necessary! I have more of this personality trait and I’m calm and stay composed even under pressure. However, problem arises when you are in conversation with people who are jealous of you, they do not like me most of the time and it is for no reason. So, I stay neutral in their case but this type of personality has really helped me and it took a lot of work on myself to achieve anywhere close to this. No matter what personality type one is (even the likeable Phlegmatic), there will always be someone who does not like you. It’s no problem, there will be some people you don’t get on with either, or don’t like very much. Knowing the major traits of the basic personality types just helps you understand others a little better, as well as yourself. I am so phlegmatic. 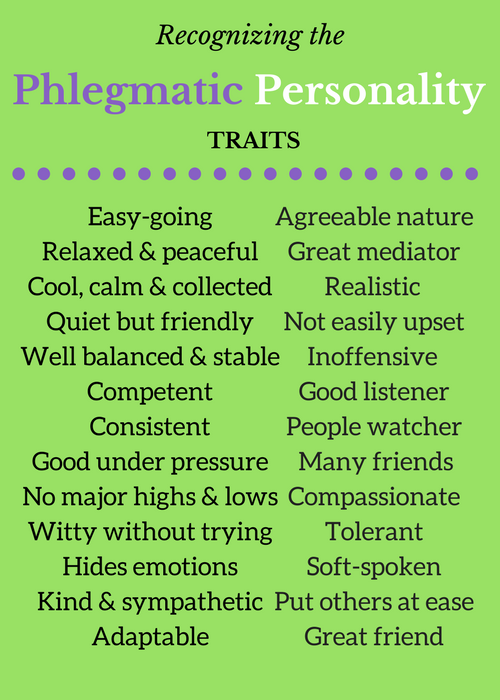 I took a personality test and am actually so phlegmatic that according to that test, this is 95% of my personality. I had almost no traits of any of the other 3. My second highest score was sanguine and I was only about 3% sanguine 😂😂. You must be a very laid-back, cool, calm and collected individual! The type of person it is so easy to be around:) Enjoy your easy-going personality, and I hope those around you treat you well and enjoy your company as well!